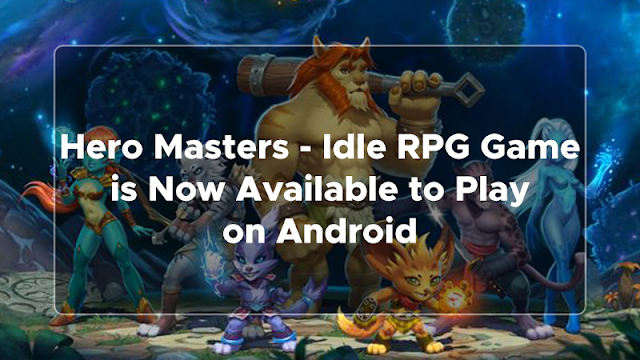 Hero Masters, an idle RPG game developed by Unnyhog is now available to play on android. It's an idle battler game where an ultimate goal of a player is to collect a powerful army of fantasy heroes and fight universal evil on numerous planets and dungeons. The game appeals to audience of Summoners War, Idle Heroes and Heroes Charge. The game features a cartoon style universe, unique fantasy heroes, simple gameplay which requires few interaction, core gameplay loop doesn't require Internet connection, no additional content (OBB) download upon game start and the game size doesn't exceed 70mb which is still playable even for low-end phones. If you connect the game to the Internet, you can access features like PvP mode, friend system and guilds. Hero Masters is an idle battler taking place in a fantasy world. Find the way out from an infinite number of farthest planets and darkest dungeons with the help of collected heroes which you evolve throughout the game. Put a perfect combination of heroes and unleash their magic powers by drawing symbols on the screen of the device to defeat rivals, destroy universal evil and reach the shores of a perfect world. Fame, glory and treasures are waiting for those who dare to come. -Easy going gameplay: take a break and watch your heroes fight for you. The game is in open beta on Google Play for Russia, Canada and Philippines. In all other countries it's in closed beta and people can get access on Android or Steam, by signing up first. By September - October 2018 it will be ready for global release. Hero Masters is a game perfect for having fun during a busy work day. To share your experience with this game, you can leave your comment below.